That the kids who grew up with era-defining masterpiece Space Jam likely now have kids of their own is an uncomfortable truth to acknowledge. The good news is, lil’ dribblers are showing more enthusiasm for the sport than ever, and there's huge demand for the kit. 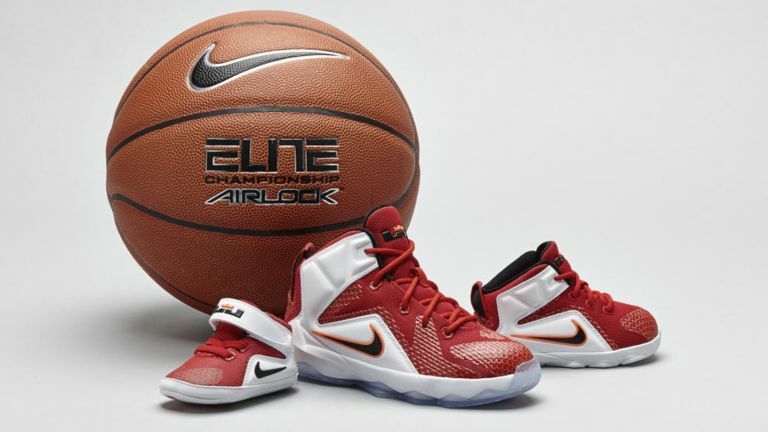 It can be tough to know where to begin when shopping for hoop-friendly apparel, which is why we’re starting from the court up with our pick of the best basketball shoes for kids. Even if they’re still working on their high-flying dunks, kids need shoes that are going to stand up to some punishment and keep them comfortable at the same time. Leather is a classic choice because it’s hard-wearing and naturally flexible, and when you pair it with a flashy design like that of the Nike Girls’ Team Hustle D8 GS, you get our top basketball shoe. Synthetic holds its own though, as in the case of the equally striking Nike Boys’ Team Hustle D7 GS. In fact, it seems to be generally accepted among reviewers that if you go for Nike, you’re pretty much assured of a good basketball shoe, but for the specifics, keep reading below. These super fresh sneaks come in striking colourways from classic spat-style black and white to pink or acid green on black, meaning they’re sure to stand out as they’re zipping around the court. Reviewers confirm that they should be our MVP for more than just looks. They loved the midfoot Velcro strap that helps keep laces on lockdown and makes for a close fit, the durable leather upper, and the lightweight foam in the midsole for cushioning and support. This Nike-Jordan collab has resulted in a pretty cool looking pair that any kid would be pleased to wear, but again, you’ll be glad to hear there’s more to it than that. These shoes offer vital support, with Zoom Air insoles for cushioning where it’s needed most, and an incredibly grippy herringbone outsole to keep them on track. In fact, reviewers said their kids found them so comfortable they wound up wanting to wear them all the time – three cheers for that stylish (and dirt-outwitting) all-black colourway, then. Where it really excels, however, is in the comfort stakes, with a moulded bootie construction and over-lace strap that combine to hold delicate ankles where they should be, a soft flexible upper for easy on and off, and a padded collar for cushioning. Anyone who’s handled their child’s PE kit without the aid of a hazmat suit will know all about the beauty of breathable materials, and as such find these Under Armour basketball shoes an appealing prospect. The leather upper marries the material’s natural durability and flexibility with strategically perforated panels to let the air circulate, while moulded quarter panels give structure and support to lock the foot in place. There’s also an antimicrobial top cloth to fight off odour-causing bacteria, (hopefully) eliminating stinky feet. Despite some stiff competition, these Nike basketball shoes are possibly the smartest looking of the lot with their stark colour-blocked design and minimal build: no odd flaps or cutouts, just like a trainer, but higher. The high-end design and choice of smart colourways give them the look of shoes for slightly older kids, but their practical applications make them great for everybody (from a UK 2.5 upwards). With deep flex grooves for flexibility, kids are encouraged to use their entire natural range of motion, and the herringbone outsole offers great traction.